Dependable range ammo at a great price. 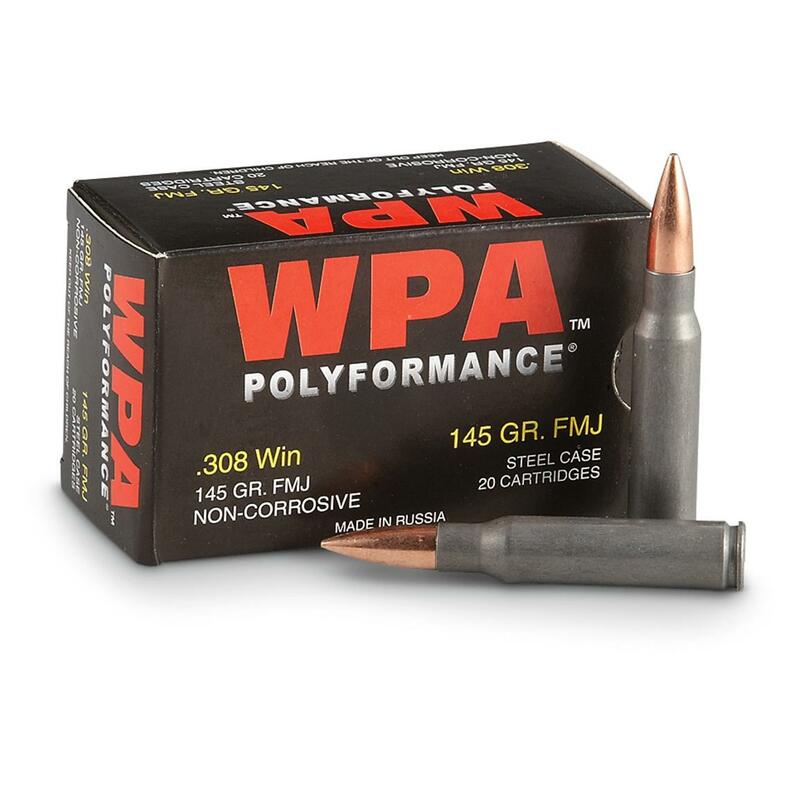 Make the most of your time at the range without spending a bundle by stocking up on dependable Wolf WPA .308 Ammo. Wolf Polyformance, .308 FMJ, 145 Grain, 240 Rounds is rated 4.9 out of 5 by 22. Rated 5 out of 5 by Plinker111 from Wolf .308 Pleased with the performance of the ammunition. The accuracy was good and consistent, for target shooting. Had no feeding issues. Rated 5 out of 5 by Mark from Benefits manager Great value, works well, accurate, dependable so far. Rated 5 out of 5 by Kenny from Nice Ammunition Originally bought this to break in a new rifle. My C308 ate it up without any problems and I found it "plinks paper" very nicely at both 100 and 200 yards. This will definitely be my gun range ammunition. Rated 5 out of 5 by CHARLIE124227 from Good Ammo & Great Price I use this @ the range and have had no problems at all. Feeds my .308 AR 10 a well balanced diet of on target power. Holds about a 1" group @ 100 yds. Can't beat the S/Guide for price and shipping. Rated 4 out of 5 by lkr3515 from Great Price, but had to be backordered. Took about a month for delivery because this product was backordered. Haven't shot any yet, but according to others that have bought this round it works fine for plinking at the range. A great big game hunting bullet. PMC Bronze Line has reliable performance from serious competition to casual paper punching. 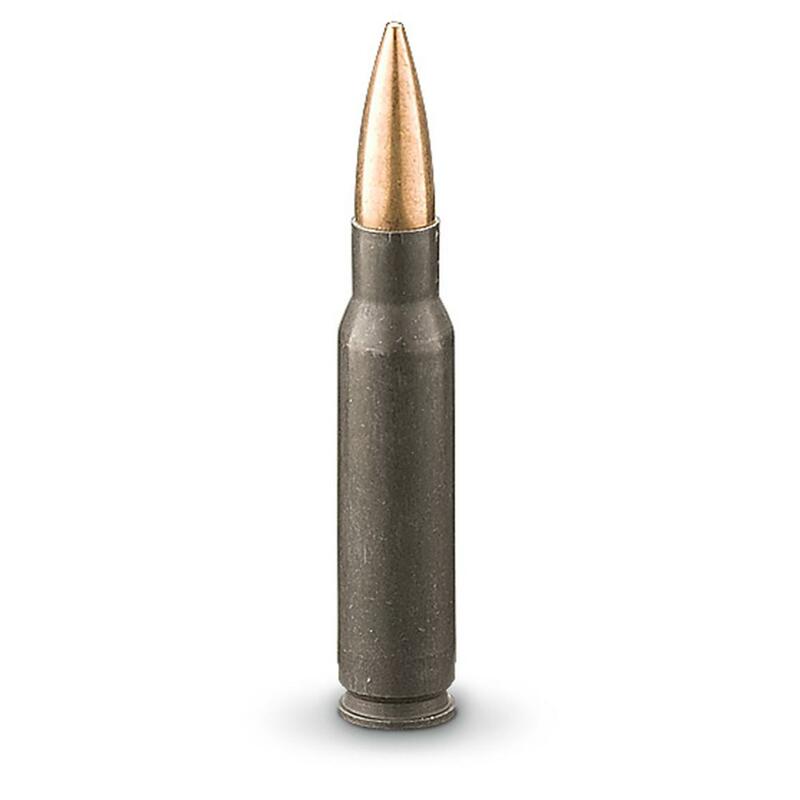 Unleash the full plinking power of your .308 Winchester.